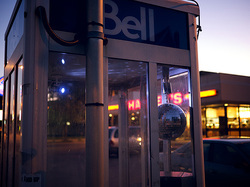 This project was made at the Canadian Film Centre's Telus Media Lab, a collaborative work with Pearl Chen. 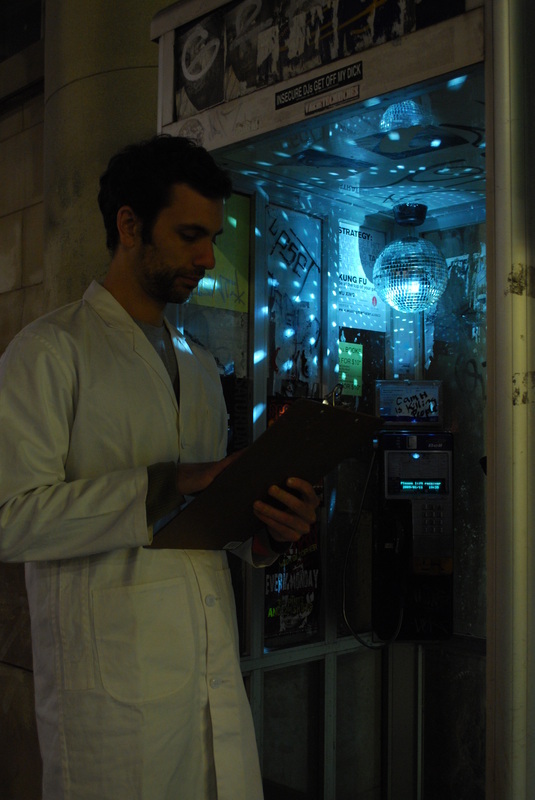 Bell Payphone Labs was created to explore the role of technology in the social sphere. Our objective is to explore the payphone as a destination by creating site-specific, public installations. 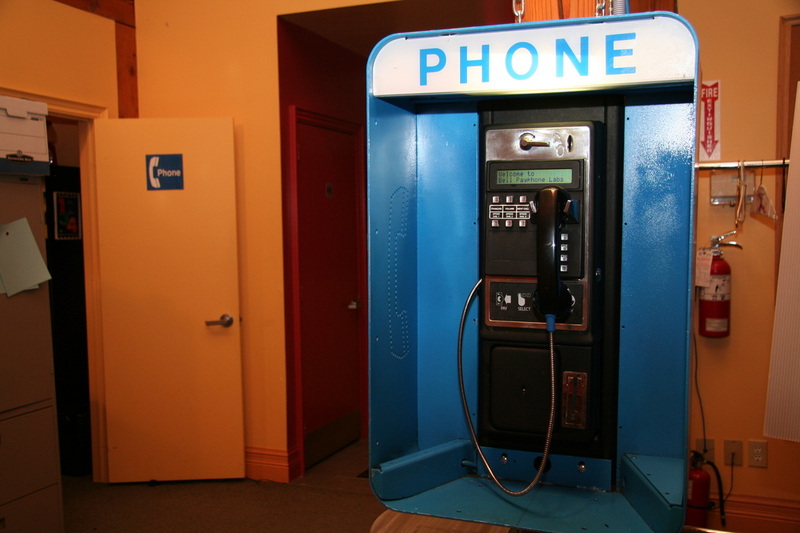 We re-engineer new life into payphones to create new ways of experiencing an orphaned technology that is now taken for granted. 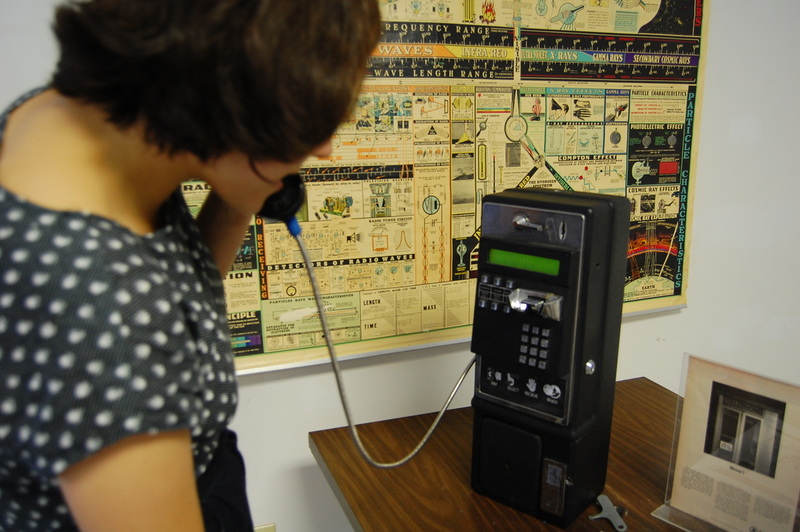 Our faux-corporate website humorously showcases payphone-related projects while inviting participants to look around them more often by offering opportunities to map payphone sites or submit payphone-related stories and projects. This opportunity facilitates a dialogue with many different users and generates qualitative, meaningful exposure. A viewer could stumble upon a site-specific installation of the Bell Payphone Labs project on the streets of Toronto such as a disco ball in a phone booth and enjoy it for its aesthetic qualities. 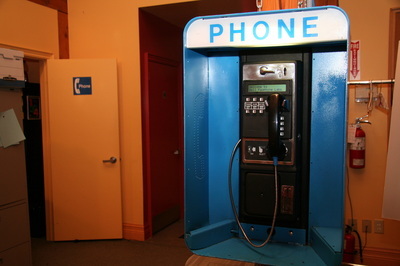 Another unsuspecting payphone user may find that their call cannot be completed and, when they hang up, they receive a gumball instead of their coin back. 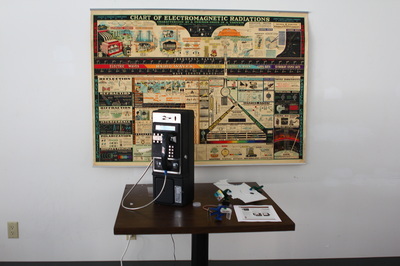 These two projects are examples of how a Bell Payphone Labs installation may seem a bit out of place and entice the viewer to become more curious. 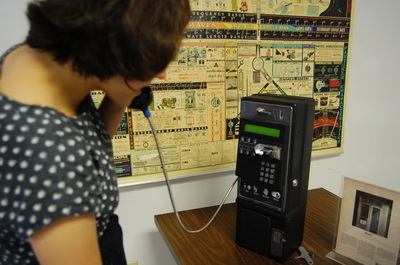 Finding themselves within an inside joke, the user is re-introduced to an orphaned technology that they can still experience today. Telus InterActive Art and Entertainment Programme at the Canadian Film Centre’s Media Lab. Soft Launch. 2489 Bayview Avenue. 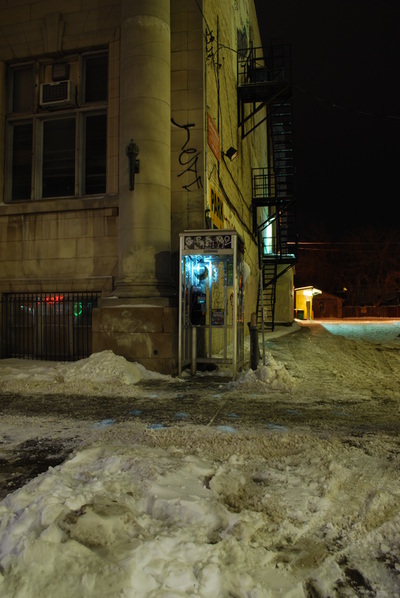 February 2009. The Artists's Project. Liberty Grande, Exhibition Place. Toronto, Ontario. March 5-9 2009. Telus InterActive Art and Entertainment Programme at the Canadian Film Centre’s Media Lab. Hard Launch. Nuit Blanche Toronto, Ontario. Lennox Contempary, 12 Ossington Ave October 2nd 2009. Broken City Lab: Storefront Residencies for Social Innovation. 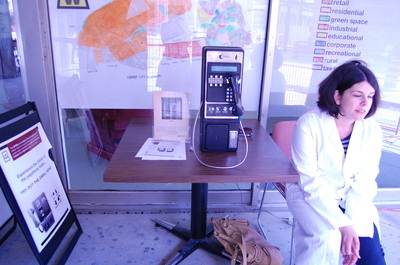 Participating as Bell Payphone Labs. Windsor, Ontario. 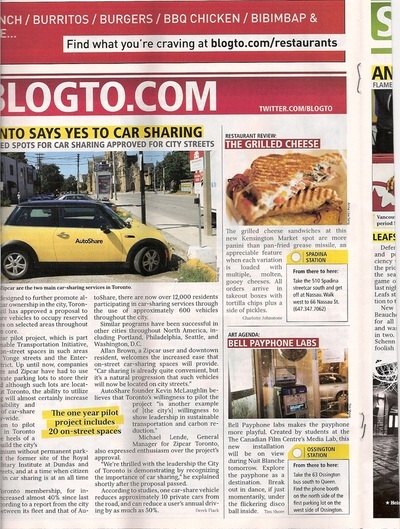 July 1-11th 2010.